Knowledge remains as one of the most important strategic resources till date. In the postmodern world of businesses, it can be used as a tool to improve organization from within, but also to improve customer satisfaction. It provides a long-term competitive advantage as it helps employees and customers deal with new challenges that may emerge at any given point in time. Sharing knowledge became a very powerful asset in regard to getting an advantage. And, exactly, for this reason, knowledge management focuses on experts who are giving their best to understand and develop more effective approaches. In addition to this, there are many companies who devote their resources to improve Cloud-based Knowledge Base Software in order to promote knowledge sharing and make it easier. 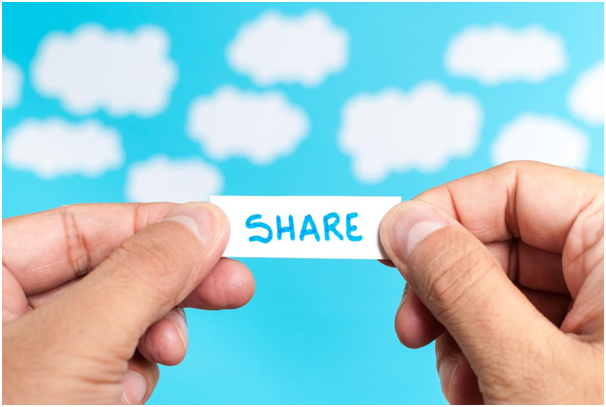 These are some smart ways in which you can use social media for Knowledge Sharing in 2017. Knowledge management categorizes content into two major categories – internal and external knowledge base. While the content in the internal knowledge base is intended to help employees, the external is designed to help and attract customers. This is why it is important to make sure that the content matches the intended target audience. Formatting, the writing style and external linking should be taken care of in the spirit of the role this shared knowledge has to play. For instance, educational articles (the ones that contain practical knowledge and various company procedures) are completely different from the ones that we refer to as guides and help documentation. This is important because, by doing so, you will make sure that the dissemination of knowledge goes as intended and that neither employees nor customers end up frustrated. Web 2.0 is a very powerful ally when businesses have to generate a buzz about a new product or service and at the same to provide some kind of value to the audience. This is where social media platforms can be very useful. By basing the writing of new in-depth guides on the previous experience of the customer support department, businesses can provide incredibly valuable information about their new products and services. This is also a very good time to share some internal knowledge to a wider audience. What businesses usually do is emphasize some of the key steps in their production process which promote green technologies and how their design makes sure that the user gets a delightful experience when using this product. Using the wiki solution makes this a very easy process because searching for information and making new articles from the compiled information and sharing is very easy. It is also important to make sure that customers’ comments don’t get ignored, as they provide useful information that can be used to improve the content found in a knowledge base. Every department in an organization has certain boundaries. Among other things, inside these boundaries, there is a lot of knowledge that gets used and improved over time. On top of that, there might even be many new discoveries that could not only improve the department in question but also other departments and the organization as a whole. Promoting social media usage for knowledge sharing can improve the productivity of the entire workforce. For instance, the information used by the sales department, marketing department and customer relations can be used to improve the services of all three. Most cloud-based knowledge base software solutions have a search option and by sharing the content on social media people will acknowledge the existence of such data in the organization’s knowledge base which will greatly improve its usage stats. Make sure to have a team in charge of the censoring content shared on social media because you don’t want inaccurate information to be promoted as viable knowledge. Why is this important? The people in charge of a knowledge base can see the search inquiries made and make sure that in future such content finds its way to the people in need since it offers value. According to a research of Muhammad Khalil, a professor at the Faculty of Business and Management in Malaysia, there is a significant relationship between social media usage and knowledge sharing behavior. In order to get to a point when organization culture fully embraced the ways of knowledge sharing, one has to encourage it. Sharing knowledge and experience in an internal knowledge base might not be attractive for employees since they might get the feeling that sharing will diminish their value. This is why a strategy for promoting this sharing culture has to be devised in detail. The best way to overcome this obstacle is to provide an opportunity to discuss the topics and share opinions on the subject. This is exactly what social media offers. After the censorship, a lot of the information found in the comments can be integrated via a cloud-based knowledge base software. This wiki solution is a great way to keep the information updated and as accurate as possible. When it comes to editing, this software empowers users to easily edit anything that is within their user right privileges. Thinking of a reward system for all the best contributors will also promote this further. As you can see, there are many opportunities when using social media for knowledge sharing. While taking care of the article format and writing style, you can utilize the Cloud-based Knowledge Base Software to share and capture the knowledge on Social Media. The benefits of doing so range from improved problem-solving skills and increased data about relevant organizational knowledge to increased collaboration among hires and improved the customer service overall. Vineet Gupta Vineet started his Digital Marketing journey 5 years back and currently working as a Technical Researcher with a combined experience of over 5 years at ProProfs.com, a website offering delightfully smart tools such as knowledge base. In his free time he loves to play cricket, reading books and travailing. Social media is no longer a negligible phenomenon – social platforms like Facebook, LinkedIn or YouTube have taken the world in a storm. Social media has become a mainstream, modified personal relationships, allowed individuals to contribute to number of issues and generated new possibilities and challenges to facilitate collaboration. Eventually, thanks for sharing your experience with us. I agree that social networking has assumed a mainstream role. It has made it easy for people to share and collaborate. After all, collaboration works best only when the users are able to tap varied information sources. This is one of the reasons why businesses are embracing social media and multichannel engagement to bag an edge in offering top quality client servicing. 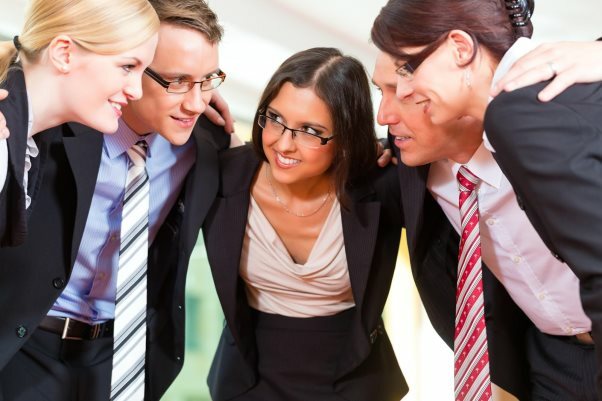 Collaboration works best when employees are able to tap varied information sources. I am of the opinion that pursuing an integrated strategy to multichannel client servicing is dependent on the foundation for a company’s knowledge base. You Share Awesome Knowledge With Us. Really Very Impressive and Useful Article I love It. I always search for such as posts to get more ideas. You’ve written fine that will obviously help me. Please carry on and share your all experiences with us. Thanks again.